A mysterious stranger becomes a suspect in a series of murders. For Alfred Hitchcock’s third feature film, we go to 1927’s The Lodger. Subtitled “A Story of the London Fog”, the film takes us to the British metropolis, where a serial killer known as “The Avenger” pursues and attacks blonde women. As this occurs, a young man named Jonathan Drew (Ivor Novello) takes up residence at a local boardinghouse run by Mrs. Bunting (Marie Ault). Because he displays some unusual habits, he immediately becomes a suspect in the case, a factor exacerbated because Mrs. Bunting’s blonde daughter Daisy (June Tripp) dates Joe Chandler (Malcolm Keen), one of the lead detectives. While Hitchcock made films in a variety of shades, he clearly offered a signature style with common themes and trends. The desirable blonde woman, the innocent man accused of a crime, a fascination with sexual fetishes – all these elements would recur across Hitchcock’s catalog. Those factors make Lodger a fascinating historical document, as it offers the first clear sign of the “Hitchcock style”. While he might develop them more fully later, the film presents these notions in a manner that strongly foreshadows his subsequent films. This means Lodger provides a significant film, but does it still entertain 90 years after its release? Unfortunately, I can’t claim that it does. Part of the problem comes from the casting, as Hitchcock picks some performers who seem wrong for their roles. In particular, Novello overdoes his character’s moodiness, as he makes Drew seem like a total oddball. Really, this turns into a fairly large distraction. We never manage to identify with Drew, so we don’t view him as the poor, wrongly-accused man – he seems like such a creep that even if he turns out to be innocent, we still think he’s guilty. In Novello’s hands, Drew feels more like a psychotic than a likable leading man. Keen’s Chandler comes across as the more engaging personality, which becomes a problem since we need to view him as a threat. Whereas Chandler should seem like a dogged, justice-minded detective – one also jealous when Daisy makes goo-goo eyes at Drew – the lawman instead seems like a jaunty, jovial frat boy. Keen creates a weird contrast with Novello’s wild-eyed Drew that further harms the film. Stylistically, Lodger occasionally shows some decent flourishes, but I can’t claim it displays great signs of the skill Hitchcock would later display. Maybe I expected too much from Hitch, but beyond some its themes, I can’t claim that Lodger does anything to stand out positively among its peers. Indeed, I think Lodger suffers in comparison to some other works of its era. While I can’t claim to be a huge fan of the genre, I can appreciate a well-made silent film, and I liked fellow 1927 classics Sunrise and Wings. As dated as they could be, they showed real style and engagement. I simply don’t find a lot to impress with The Lodger. Again, its position as a Hitchcock film may have led me to expect too much, bit I still think the film seems less than involving. The Lodger appears in an aspect ratio of approximately 1.33:1 on this Blu-ray Disc. Given its age, this proved to be a satisfactory presentation. Of course, one shouldn’t expect a film from 1927 to look “modern”, and Lodger showed age-related issues. In terms of hues, the movie used monochromatic tints. Most of the movie went with a yellow-orange feel, while some exteriors opted for cold blues and the denouement chose purple. The colors worked acceptably well. They never appeared especially vivid, but they showed no obvious problems. I thought the tints added nothing to the film but their execution seemed acceptable. Sharpness also remained decent. Little of the film offered great clarity, but the movie showed reasonable delineation, with few obvious soft spots. Edge haloes and shimmering remained absent. With a film as old as Lodger, print flaws became a nearly inevitable issue, and I did see a smattering of specks and marks. However, these remained decidedly minor, as they created few concerns. Blacks were fairly dark and dense, while shadows appeared decent to good. Nighttime exteriors during the climax tended to seem a little too bright, but otherwise, those elements satisfied. For a 90-year-old movie, Lodger looked pretty positive. As a silent film, Lodger enjoyed no “original soundtrack”, but the Blu-ray received a new score by Neil Brand. The disc presented this work via a PCM stereo soundtrack that worked well. The score showed good stereo imaging across the front speakers, as the instrumentation offered nice delineation and localization. Quality also seemed fine, as the score showed smooth highs and adequate lows. Nothing dazzling occurred here, but the stereo track suited the film. As we go to the set’s extras, the prime attraction comes from Downhill, the Hitchcock film that followed Lodger. It goes for one hour, 50 minutes, 59 seconds as it focuses on Roddy Berwick (Ivor Novello), a student whose life falls apart after he takes the blame for misdeeds he didn’t commit. While we see connections to standard Hitchcock themes/motifs in Lodger, these seem less obvious in Downhill. The movie plays as more of a standard morality tale – and not a particularly interesting one at that. Downhill moves at a glacial pace and never seems to go anywhere, partly due to the dull characters and overwrought stabs at drama. People will watch this because Hitchcock directed it, but it offers little cinematic value other than as a historical curiosity. A handful of interviews follow. Film Scholar William Rothman chats for 32 minutes, 54 seconds as he covers cinematic techniques, themes and interpretation. Rothman brings us an engaging and insightful look at the film. Next comes The Bunting House, a 17-minute, 42-second “video essay” by art historian Steven Jacobs. He looks at more themes and connections to other Hitchcock films, though he tends to emphasize the movie’s main location. Jacobs adds to what we learn from Rothman so he turns this into another useful piece. Composer Neil Brand presents a 22-minute, 37-second piece in which he looks at the score he composed for Lodger. Though a little dry at times, Brand covers his work in a satisfying manner. Some audio-only archival pieces follow. We get Alfred Hitchcock and Francois Truffaut (26:23) and Alfred Hitchcock and Peter Bogdanovich (19:42 and 20:58). Across these, we get notes about Hitchcock’s life and career, with some emphasis on Lodger. All three segments offer good information and deserve a listen. From July 22, 1940, we find a Hitchcock-directed radio play version of The Lodger. It lasts 30 minutes, 48 seconds and features Herbert Marshall as both the narrator and the lead and Edmund Gwenn as Mr. Bunting. The radio version offers a fairly substantial change from the movie, as it leaves out the boyfriend/detective character and comes with a delightfully “open” ending. Hitchcock himself appears on the air to explain the story’s lack of resolution. This becomes an enjoyable depiction of the tale. Finally, the set includes a booklet. It includes two essays from critic Philip Kemp: one about The Lodger and another about Downhill. These add value to the package. Often regarded as Alfred Hitchcock’s first “true film”, The Lodger offers hints of the director we’d come to know and love. However, it mostly tends to provide a slow, less than enthralling effort marred by some iffy casting choices. 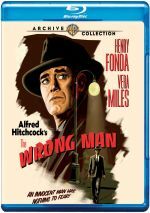 The Blu-ray provides pretty positive picture and audio along with supplements highlighted by the inclusion of another Hitchcock movie. 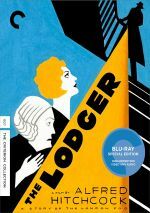 Given its historical importance, all Hitchcock fans should see The Lodger, but they shouldn’t expect greatness from it.